Simplicity rules! At least in this case keeping the ingredients few and the preparation minimal yields amazing results. 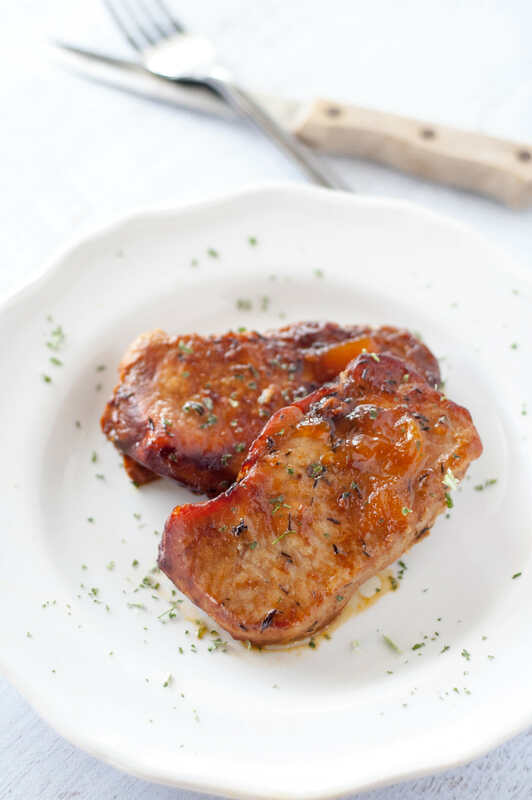 Slow cooked and glazed in a simple peach and butter sauce, these pork chops are a family favorite yet something I would be proud to serve to dinner guests too! 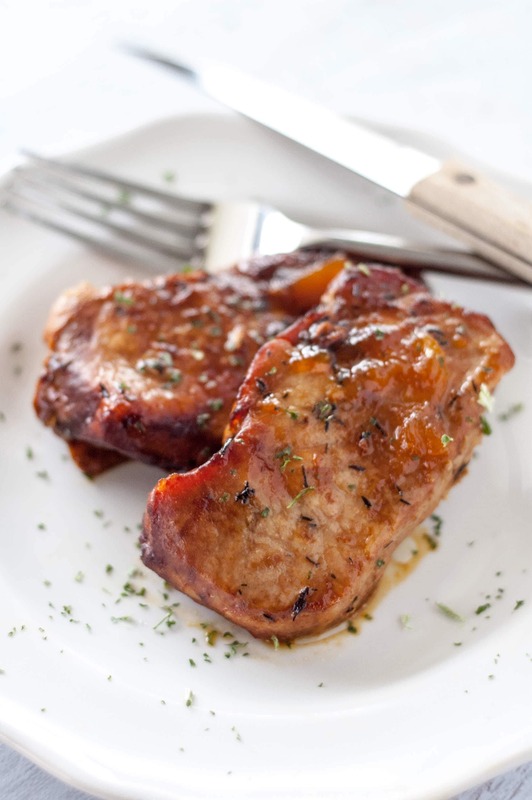 Tender, juicy and flavorful, these chops go perfectly with so many different sides. My personal favorite veggie to serve them with is Brussels Sprouts but you could serve them along with some peas instead. I think they just look especially fancy along side a green veggie! I used a boneless skinless pork loin chop but these would also be especially delicious with a bone-in chop or a thick cut chop. Not to mention they would look even more beautiful being presented to guests. Now I just need to find someone to come to dinner so that I can make these again! You will start out by melting a little butter in a hot skillet until it starts to bubble and foam and then until it just starts to turn brown. Then you simply whisk in the peach preserves and seasoning and that’s it! 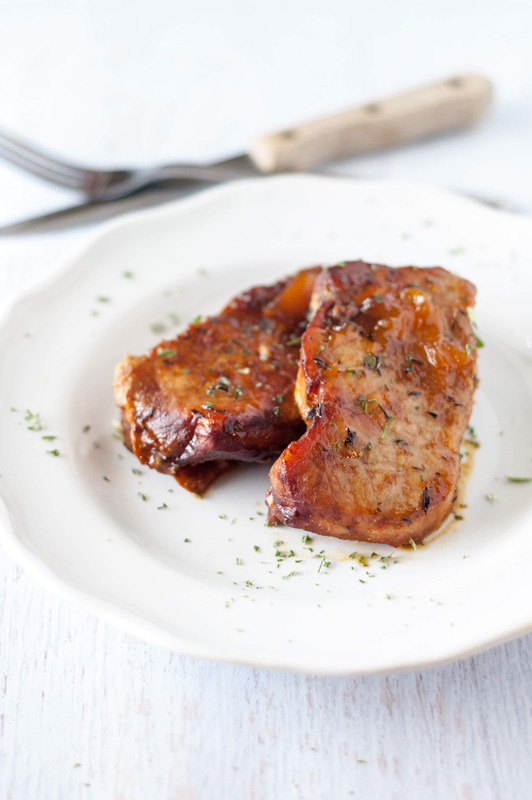 Pour this over the chops in the slow cooker and it’s hands off the rest of the day! My kids love these because they are a little sweet and we love them because…well, because they are a little sweet! And a little savory with the browned butter. Just the perfect combo for everyone!! What makes the potassium level so high? 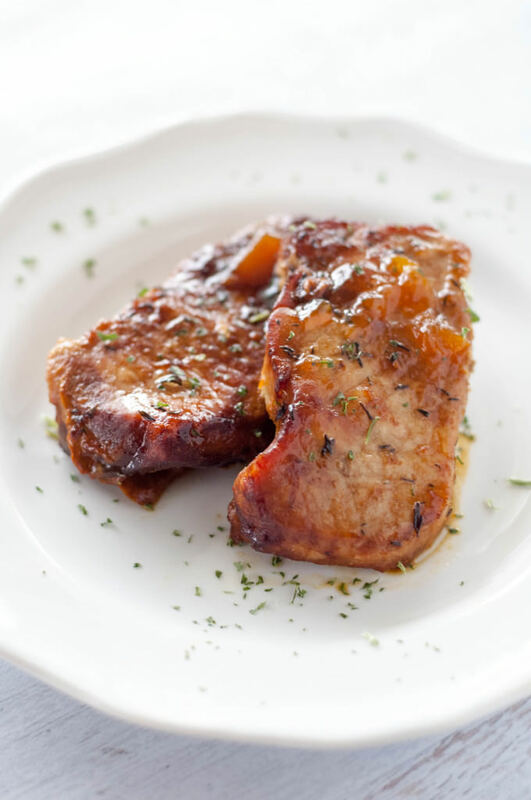 can you used canned peaches in this recipe? 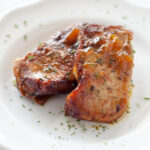 You could certainly add canned peaches, but to make the sauce you will need to use the preserves. Trying this for dinner tonight ! Let you know what the family thinks of it. Hope they loved it, Kamika! 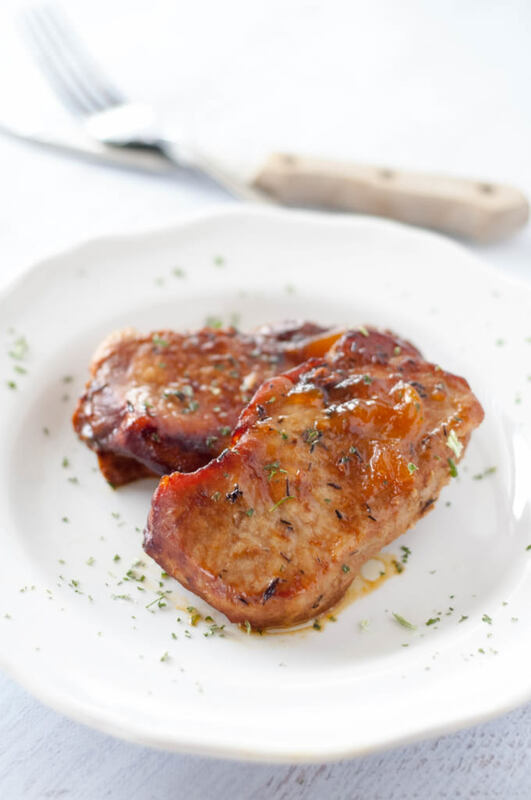 Do the pork chops have to be boneless? 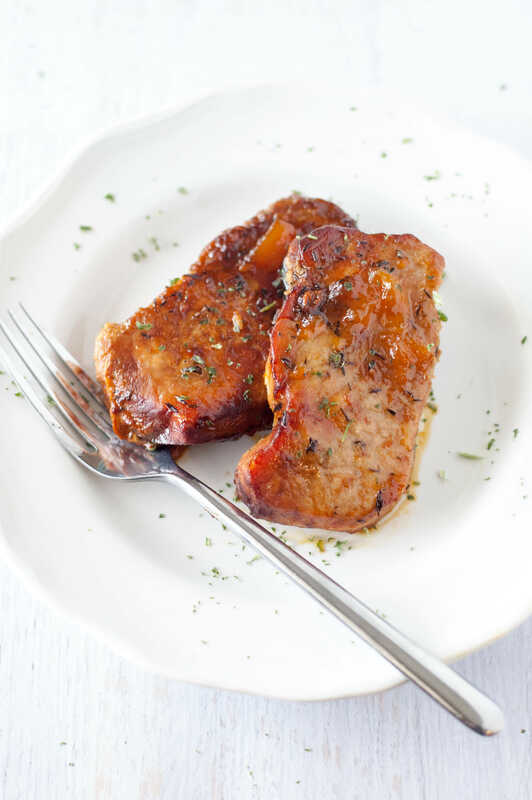 Nope, these would be especially delicious with a bone-in chop! Fantastic recipe! I served this to my family and everyone loved it! I used all-fruit peach preserves and the flavor was amazing. I used 8 tablespoons of butter (the whole stick) and a 10oz jar of preserves (the whole jar). So quick and easy to put together and throw in the crockpot. Delicious – Thank you! What side dishes do you recommend? Green beans are my favorite with pork chops. These are quick and easy!